Dark clouds gather, omens of approaching war. Dressed in the Edward Darkened Armour Set, you are prepared for the battle. 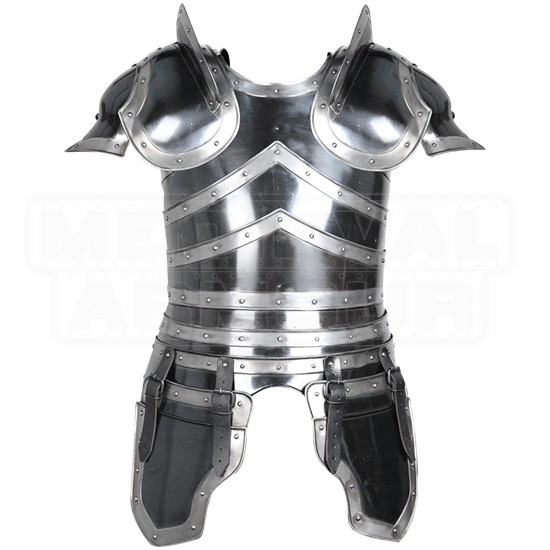 This handcrafted, blackened steel armour set includes a cuirass with matching pairs of tassets and spaulders. Each armour plate features decorative ridges, rivets, and bright, unblackened borders in high contrast with the blackened centers. An electrochemical treatment grants the metal this look and helps protect it from rust. The curved spaulders sport sword guards along their inner edges, protecting the neck and face of the wearer, and the tasset plates protect the upper thigh. 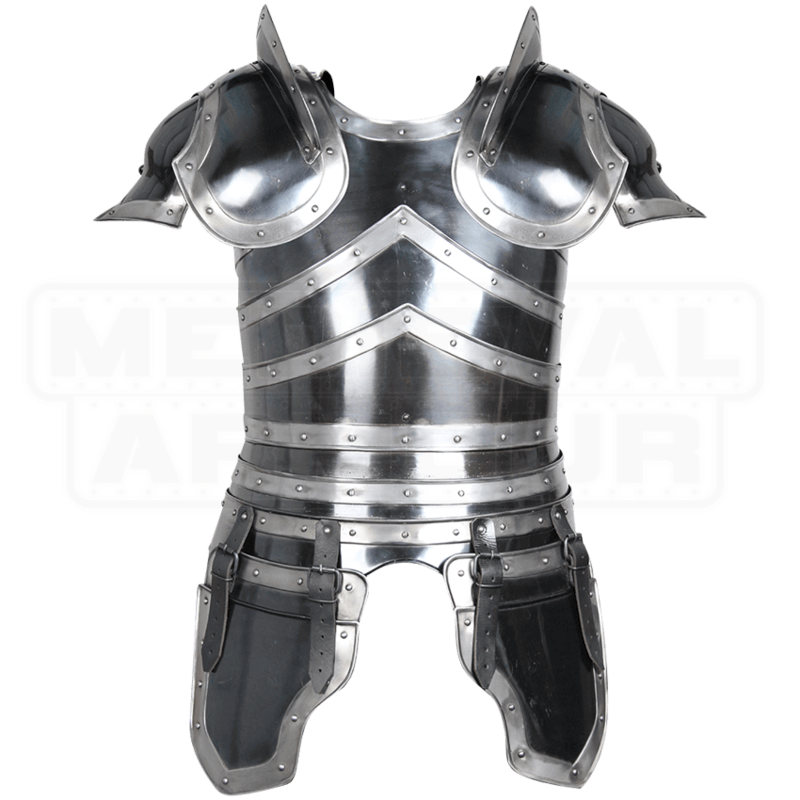 Secured to the wearer and fastened together via adjustable leather straps, this armour set will provide comprehensive, stylishly matched protection at your next LARP or reenactment event. Sinister warriors from fantasy realms and medieval knights alike will find themselves suitably outfitted when they wear the Edward Darkened Armour Set over a padded gambeson.